The common ores of zink are zincite (ZnO), calamine (ZnCo3) and zinc blende (ZnS). These are available in Burma. Zinc processes a bluish grey metallic appearence. It has high corrosion resistance. In fact, steel sheets are often covered by a thin coating of zinc. Such zinc cozted sheet are known as Galvanised iron sheets (G.T. Sheets). 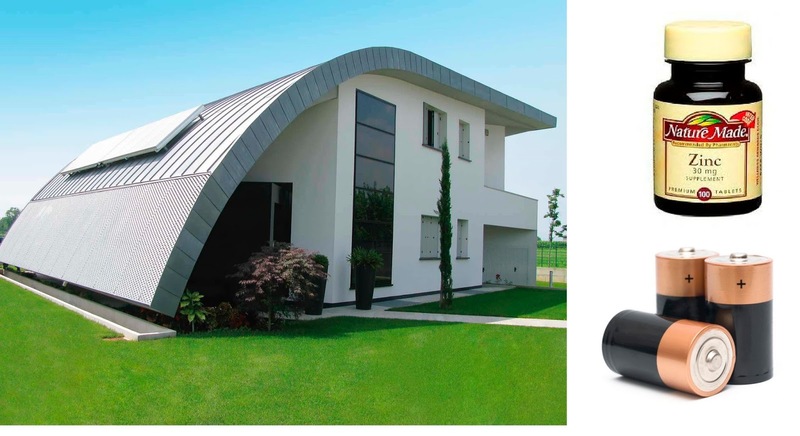 The zinc coating provides protection to steel sheets from corrosion for many years. Melting point = 419°C. 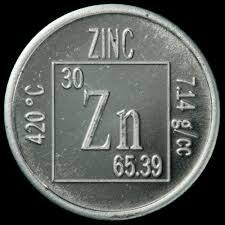 Zinc is currently the fourth most widely consumed metal in world after Iron, aluminium and copper. Zinc has a low melting point and high fluidity making it suitable for items to be produced by die-casting process. Zinc is incidentally much cheaper than either copper or tin; making brass, an alloy of copper and zinc much cheaper than copper or tin-bronze. Zinc is also used in torch light batteries. zinc is also important for health, it is a necessary element for the proper growth and development of humans, animals and plants. Zinc is also useful for roofing purpose.